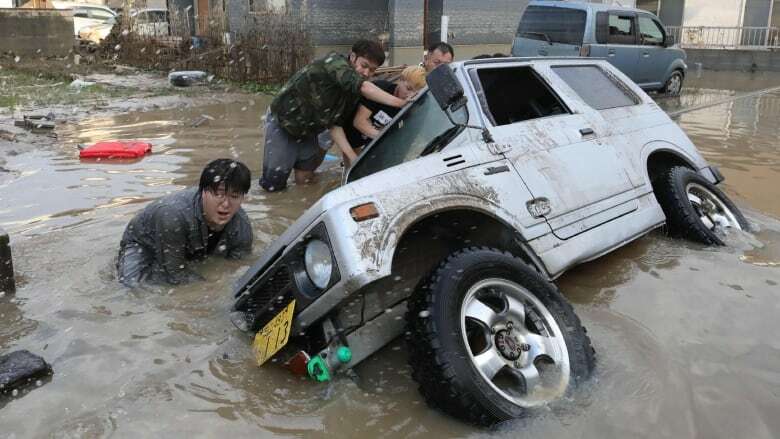 Rescuers in Japan dug through mud and rubble on Monday, racing to find survivors after torrential rain unleashed deadly floods and landslides. 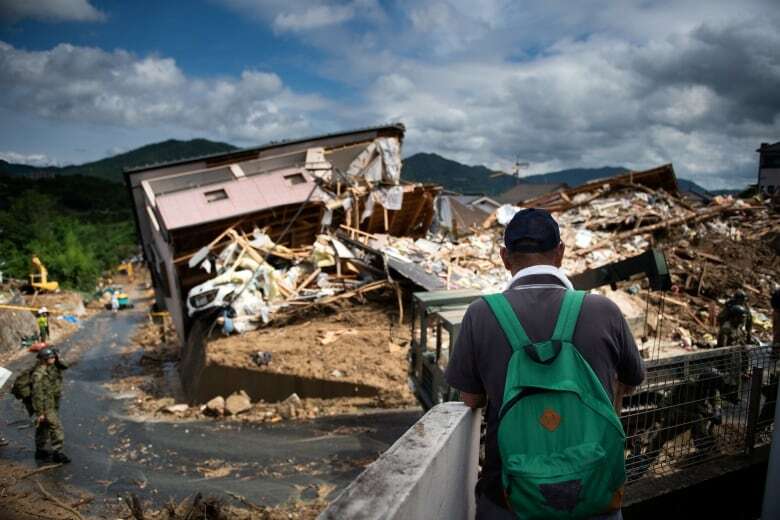 The Japan Times put the death toll at 126 late Monday and said 86 more people were still missing. According to the paper, around 11,000 people were staying in centres set up to deal with people forced out of their homes by the floods. 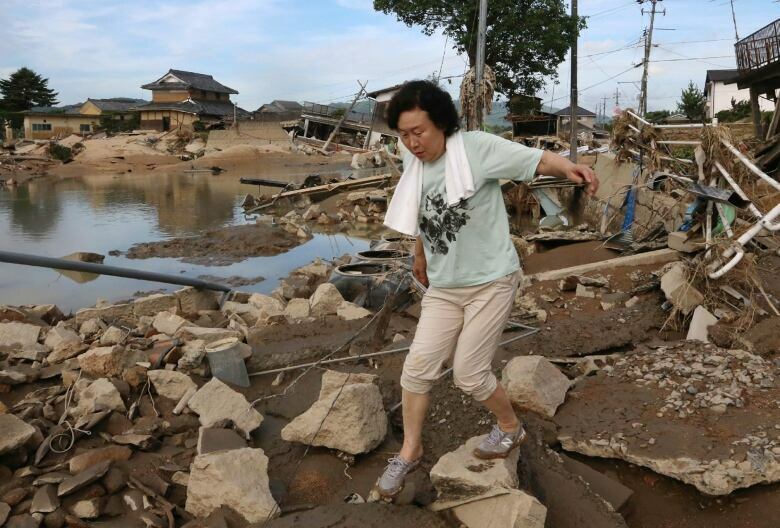 Prime Minister Shinzo Abe cancelled an overseas trip to deal with Japan's worst flood disaster since 1983, with several million people forced from their homes. Officials said the overall economic impact of the flooding in the western part of country was not immediately clear. Rain tapered off across the southwest region battered by last week's downpour, revealing blue skies and scorching sun forecast to push temperatures above 30 C, fuelling fears of heatstroke in areas cut off from power or water. 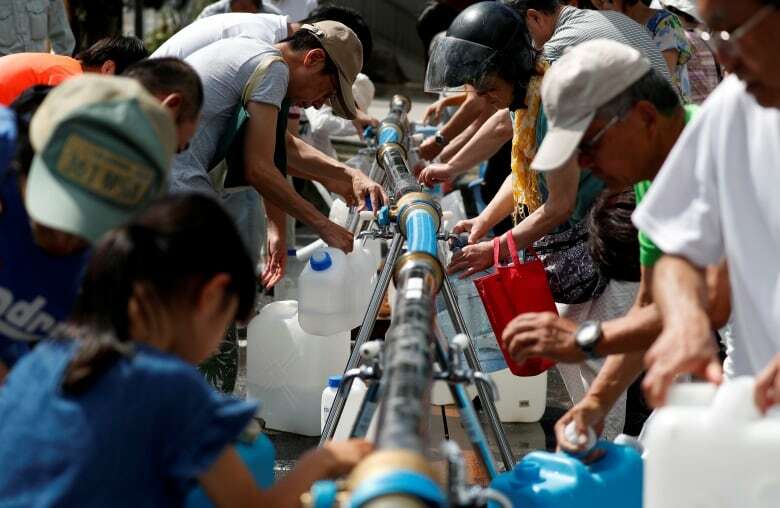 "We cannot take baths, the toilet doesn't work and our food stockpile is running low," said Yumeko Matsui, whose home in the city of Mihara has been without water since Saturday. "Bottled water and bottled tea are all gone from convenience stores and other shops," the 23-year-old nursery school worker said at an emergency water supply station. Thousands of households had no electricity, power companies said on Monday, while hundreds of thousands had no water. 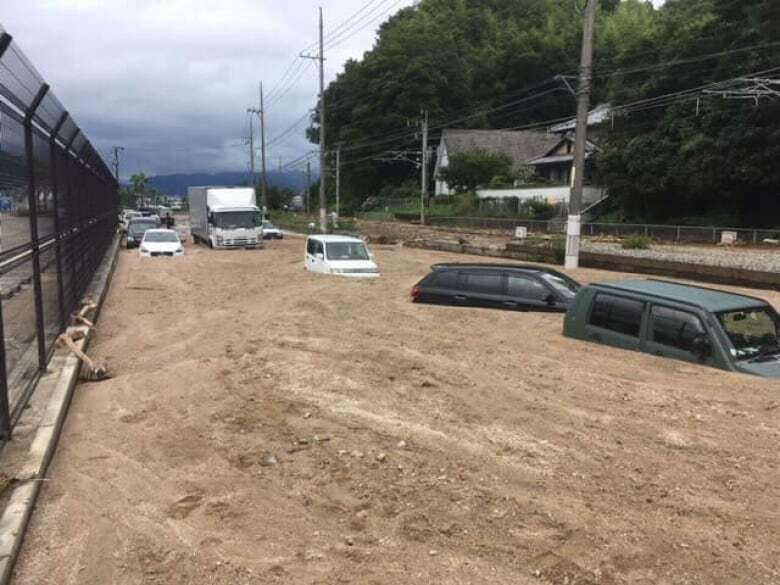 Though the persistent rain had ended, officials warned of sudden showers and thunderstorms, as well as of more landslides on steep mountainsides saturated over the weekend. Chief cabinet secretary Yoshihide Suga said Abe had cancelled his trip to Belgium, France, Saudi Arabia and Egypt because of the disaster. He had been due to leave on Wednesday. Industry operations have also been hit, with Mazda Motor Corp. saying it was forced to close its head office in Hiroshima on Monday. The automaker, which suspended operations at several plants last week, said the halt would continue at two plants until Tuesday, as it cannot receive components, although both units were undamaged. 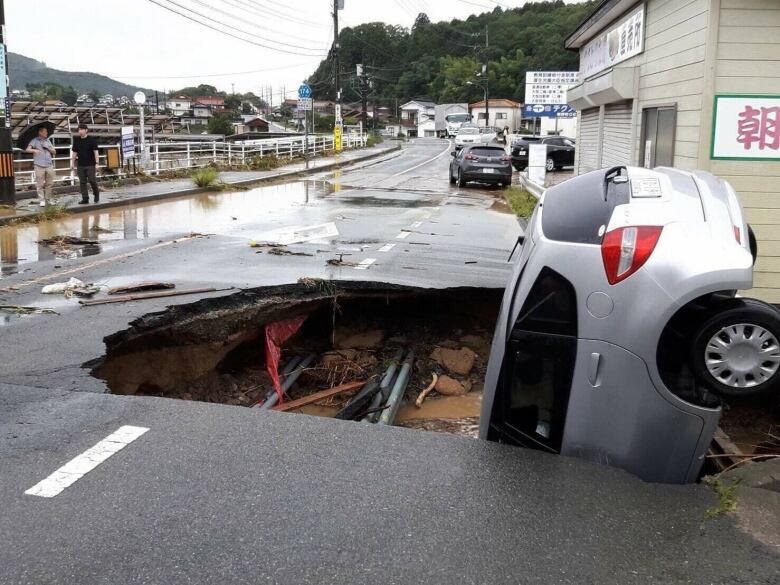 Refineries and oil terminals were not affected, but blockages in roads leading to one Showa Shell oil terminal in the city caused gas and diesel shortages nearby. Shares in some firms fell, but losses were modest, with Mazda even gaining as investors bet damage was limited. 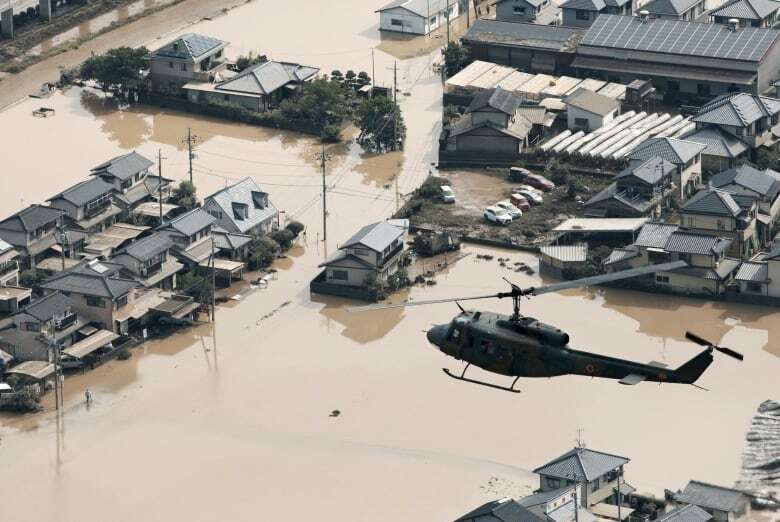 "If the rainfall affects supply chains, there will be selling of the affected stocks," said Norihiro Fujito, chief investment strategist at Mitsubishi UFJ Morgan Stanley Securities. "Otherwise, the impact will be limited." Elsewhere, people soldiered through the grim task of recovery. 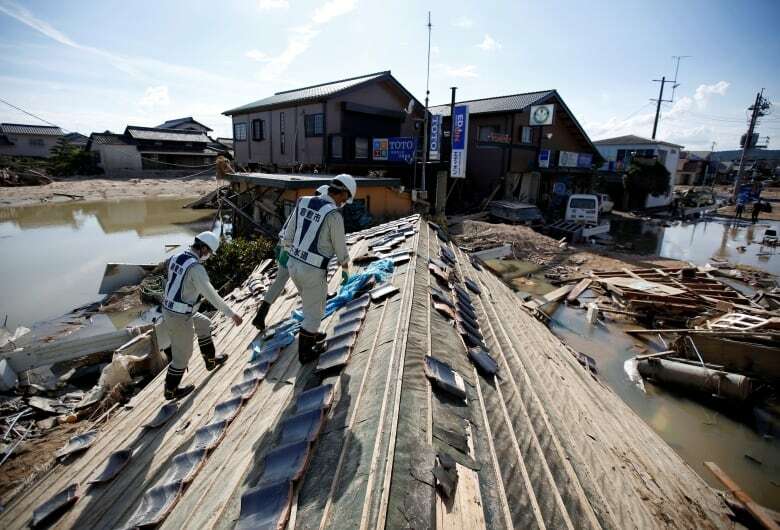 The floodwaters slowly receded in the city of Kurashiki's Mabi district, one of the hardest hit areas, leaving a thick coat of brown mud, as residents returned from evacuation centres and hotels to tackle the mess. 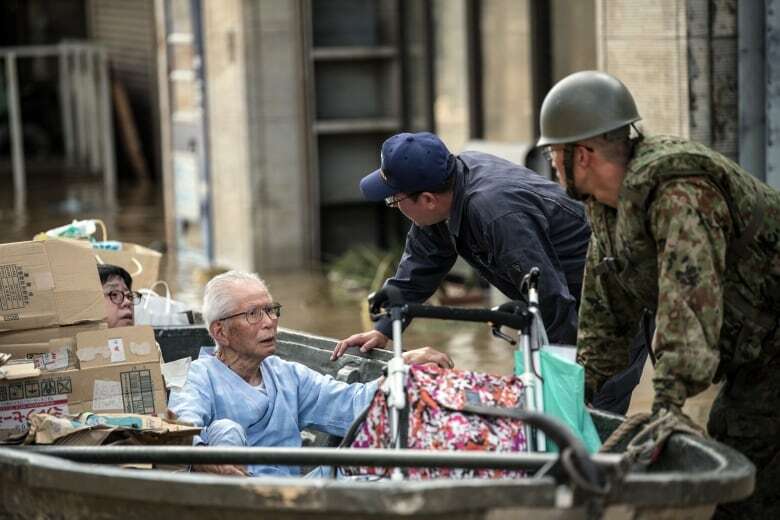 "I've never experienced anything like this is my life, and I've lived for more than 70 years," said 71-year-old Hitoko Asano. "The washing machine, refrigerator, microwave, toaster, PC — they're all destroyed," she said as she cleaned her two-storey house. "Clothes in the drawers were all damaged by muddy water, we won't even bother to wash them. I can't help wondering how much it'll cost to repair this." Although evacuation orders were scaled back from the weekend, many people still face orders or advice to keep away from homes, fire and disaster officials said. "I'm worried there could be a significant impact on production, consumption and tourism," Toshiro Miyashita, a Bank of Japan branch manager, told a news conference. 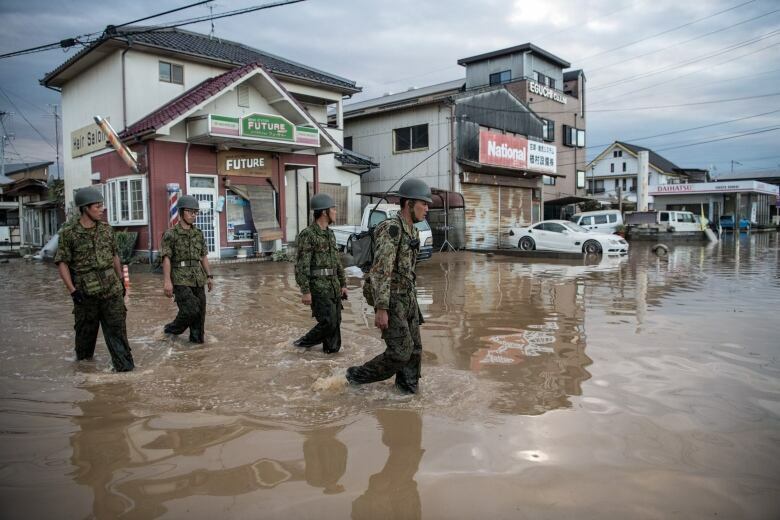 See more images of the severe flooding in Japan.